The 33rd CSAA 10k was held at London’s Olympic Park for the third time in quite blustery conditions over a 4-lap course. Historically Battersea Park played host to the race either over a 2½ lap or 4 lap course with only three races being held outside of the Capital. Once when the event went to Cardiff and the other at Loughborough though this was partly off-road and nearer 6 miles. The other occasion was a race in Hyde Park, which though iconic at the time lacked suitable changing facilities. For the first time since 2000 DWP took both the Men’s and Women’s Titles with George Dollner (33.30) just having the edge over the final lap to beat team mate Rob Thorpe (33.54) by 24 seconds to record the fastest time in the Olympic Park. Shaun Brown (OS) was an isolated third (34.42) but had the consolation of leading Ordnance Survey to their first Team Title as they packed their four counters in 3rd, 4th, 8th and 16th as against the 1st, 2nd, 5th and 27th of DWP. DEFRA finished 3rd with their counters in 7th, 12th, 32nd and 37th A special mention must go to 5th place finish Rob White of DWP who raced with two fractured wrists following a bad fall in a recent fell race. In the Women’s race the title was only decided in the closing stages when DWP’s Maria Skinner (42.19) edged out OS’s Nicole Frith (42.23) with Sophie Wilkinson-Hargate (43.00) in 3rd representing MINERVA. To round off an outstanding day for the large Ordnance Survey Team the Women’s Team took their team title with 2nd, 4th and 10th places with MINERVA in 2nd with 3rd, 6th and 11th whilst HMRC took 3rd with 7th, 18th and 19th places. In the Master’s Categories John Sharkey (M35) and Mick Anglim (M70) added to OS’s medal haul whilst 2002 CSAA 10m Champion Shane Snow took the M50 title. Gary Pennington CSAA 10k Champion in 2010, 2012 and 2017 was first M45 and Rob White was a popular M40 winner but CSAA President Marian Holmes had to refrain from shaking hands just in case she aggravated his injuries! The other category winners were Dan Berry (M55), Pete Crockford (M60) and Chris Jackson (M65). In the Ladies Categories overall race winner Maria Skinner claimed the F45 title and Karen Connell F35 added another medal to the OS tally. The F40 title went to Sophie Wilkinson-Hargate with Rose Baker (F50), Jennifer Hodson (F55) and Maggie Statham (F60) completing the title holders. Finally, in the Master’s Team Awards the M35 – M49 Title went to OS with the M50+ to HMRC and the F35+ to MINERVA. 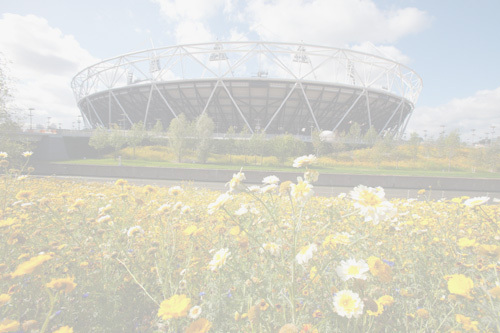 We hope to return to the Olympic Park in 2019 and thanks must go to CSSC & CSAA for all the work that went into ensuring another successful event took place and to all the athletes and volunteers who supported the race. Further details of all the CSAA events can be found on the CSAA Website: www.csaa.org.uk along with details of all previous winners.